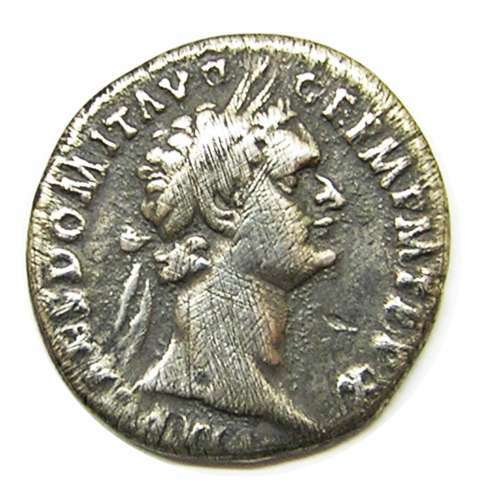 This is an ancient Roman silver denarius, of emperor Domitian, minted in Rome around 90 - 91 A.D. Obverse: IMP CAES DOMIT AVG GERM P M TR P X Laureate head of Domitian right. Reverse: IMP XXI COS XV CENS P P P Minerva advancing right, brandishing spear and shield. The coin is a good example, in excavated condition with some scratching to the surfaces. DATE: 90 - 91 A.D.